umuntu is a bulletin in black and white for friends and funders of the Other Foundation. Everyone should be free to live a safe and dignified life, have a family and make their contribution to society. 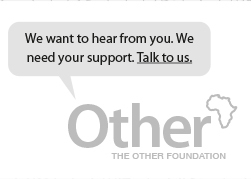 The Other Foundation works to change the views, practices and institutions that prevent people – because of who they are or who they love – from being able to do that in southern Africa. We gather support for those who are working to protect and advance the rights, wellbeing and social inclusion of people of all sexual orientations and gender identities – and we give support in a smart way that helps to work better for lasting change. Exclusion from even the scarce jobs that are available and workplace discrimination are frequently identified by LGBTI people in southern Africa as factors that harm their wellbeing. At the same time, some LGBTI-owned small businesses are thriving and others are eager to do better by tapping into LGBTI markets. Some big companies are committed and eager to ensure greater diversity in their workforce and to ensure LGBTI inclusion in their supply chains. At the level of international economic and development policy, “inclusive economic growth” and development approaches that “leave no-one behind” are at the top of the policy agenda. Young LGBTI professionals who are newly big earners hold huge influence over their families in urban and rural environments. On the one hand, they and their straight peers are developing new, inclusive worldviews and value systems as they enter the world of work in companies in big cities. On the other hand they hold the power to leverage the “aspirational” attractiveness of their lives (and the financial muscle they wield in their families and communities) to shape new social value systems that erode homophobic attitudes. This opportunity is likely to last only one generation. The Other Foundation has convened a working group of LGBTI business owners and social entrepreneurs in Cape Town to establish a national LGBTI Business Network. The time is right to harness the power of business for LGBTI economic empowerment and social acceptance in southern Africa. The Other Foundation has convened a working group of LGBTI business owners and social entrepreneurs in Cape Town to establish a national LGBTI Business Network. More LGBTI groups in a few big companies have come forward since then and want to be part of the initiative. To boost the benefits offered by the network, we signed an agreement with the National Gay and Lesbian Chamber of Commerce [NGLCC] of the United States of America and have been in discussion with Stonewall in Britain about similar collaboration on LGBTI workplace issues. Click here to get a report about the inaugural meeting of the LGBTI Business Network working group meeting and to watch brief video interviews with some of the participants in the meeting. Most people learn religion from a very early age, before they ever learn of the rule of law, human rights, or human sexuality. Religion informs many people’s moral judgements. It gives many, many people their primary value system that informs their social attitudes and public policy positions based on what they believe is right and what is wrong. The Other Foundation gathered more than 100 delegates from 13 countries for a two day dialogue on Homophobia and the Churches in Africa at the Seth Mokitimi Methodist Seminary in Pietermaritzburg, South Africa, in partnership with the Ujamaa Centre at the University of KwaZulu-Natal, the Gay and Lesbian Network based in Pietermaritzburg, the KwaZulu-Natal Christian Council, and the Open Society Foundation. From hard conversations, practical strategies were developed to enable church groups to counteract homophobia within and beyond the churches. From hard conversations, practical strategies were developed to enable church groups to counteract homophobia within and beyond the churches. This included the development of theological perspectives, the use of appropriate language, tools to facilitate direct engagement between the LGBTI people and church leaders about the lived experience of LGBTI people, and the use of liturgy and the arts. Get a summary report of the convening by clicking here, with videos that capture some of the rich discussions at the historic meeting. It was oversubscribed. 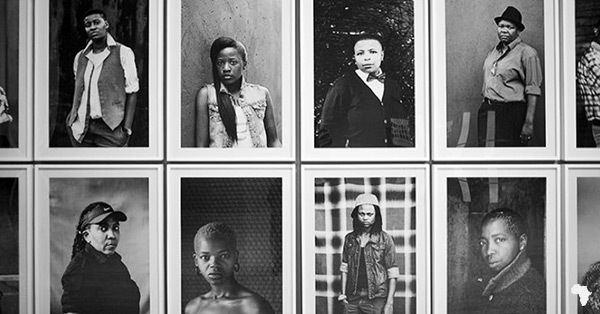 Faces and Phases – Portraits from Zanele Muholi’s Isibonelo / Evidence exhibition at the Brooklyn Museum, 2015. Picture courtesy of Newsweek. The inaugural Eudy Simelane Lecture was given by Justice Edwin Cameron, a judge of the Constitutional Court of South Africa in Pietermaritzburg in April 2016, along with Eudy’s friend and fellow activist, Steve Letsike, and the Simelane family. The message from everyone who spoke was that, while especially black lesbian women are extremely vulnerable as a result of many factors including economic deprivation, irreversible progress on human rights of LGBTI people is being made in several parts of the Africa. Eudy Simelane, the South African national football star whose life was taken because she was lesbian, was remembered through a short documentary about her life and tragic death that the Other Foundation produced for the event, in which her parents, brother, and friends remember her. You can also watch Justice Cameron’s address by clicking here. Is homosexuality or homophobia un-Christian? Click on the image above to watch a brief video of Archbishop Desmond Tutu saying what he thinks about whether homosexuality or homophobia is un-Christian. He answers this question in reference to the work of the Thohoyandou Victim Empowerment Programme (TVEP). With a grant of R150,000 from the Other Foundation, TVEP has started working with LGBTI groups in the north of South Africa’s Limpopo province to engage religious, traditional, and other community leaders in social dialogue to overcome homophobia. TVEP does this through community workshops, radio shows, and providing psycho-social support services. Parents, Families and Friends of South African Queers (PFSAQ) and the South African LGBTI Parents’ Forum, are two groups working with families of LGBTI people, to sensitize and mobilize them to become powerful public advocates against homophobic discrimination. Working out of Gauteng and Mpumalanga respectively, initiatives directed at families and friends enable them to become more accepting, supportive, and socially affirming of their LGBTI family members. each other's support to create a changed situation. Both groups have learnt that it is equally important to work both with the LGBTI person and their family members to enable an empowering and protective approach by the family, because, often, both struggle to understand how much they need each other’s support to create a changed situation. 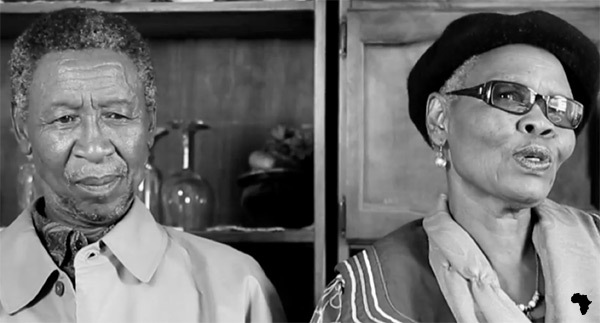 The parents of Eudy Simelane (pictured above), for example have been active public advocates for LGBTI equality and social acceptance. The Other Foundation was happy to support the launch event of PFSAQ with R20,000. R50,000 has also been given to the South African LGBTI Parents Forum to help it achieve its vision. And we are very happy to have supported the Ujamaa Centre at the University of KwaZulu-Natal with a grant of R131,000 to work with the parents of Eudy Simelane to establish the Eudy Simelane Lecture and run a series of related dialogues. 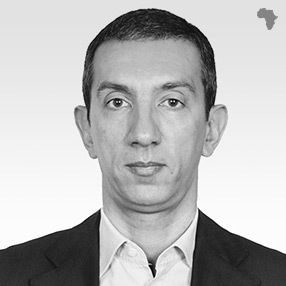 Miguel is the Mozambique Country Director of the Electoral Institute for Sustainable Democracy in Africa (EISA). Previously, he was USAID’s senior advisor on democracy and governance in Mozambique. In 2000, he created the newsletter As Cores do Amor. The interest it sparked led to the coming together of a group of activists in 2006 to establish Associação LAMBDA, the first LGBTI human rights group in Mozambique, in which he remains an active member. Miguel holds a Master of Arts degree in International Politics and Security Studies from Bradford University in Britain. 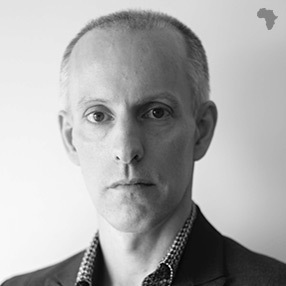 Neville was the founding executive director of the Southern Africa Trust, an independent regional funding agency that supports deeper and wider policy engagement between governments and non-state actors to overcome poverty in Southern Africa. 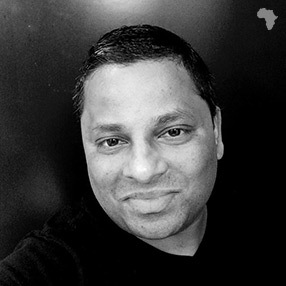 He is the chairperson of the Open Society Initiative for Southern Africa (OSISA), a senior fellow of the Synergos Institute, a member of the Africa Policy Advisory Board of Bono’s ONE campaign, and a trustee of the International NGO Training and Research Centre (INTRAC) based in Oxford. Our community-led campaign to raise money from friends and supporters of the Other Foundation, for the advancement of human rights, wellbeing and social inclusion of LGBTI people has to date raised R426,589.50 from pledges from 290 people. Using a format that gives real meaning to our set-up as a community foundation, our friends and supporters host dinners for their friends, in their homes. The Other Foundation pays all costs related to the dinner, including hiring a chef who prepares a delicious three course meal. The host and dinner guests are then invited to pledge money at the end of the dinner, from pledges as little as R1 a month. own A Million Ones dinner. All the money raised from A Million Ones dinners goes towards good projects selected through our unique grant making process, and demonstrates that there is local support towards equality and freedom for all people regardless of their sexual orientation and gender identity. Because all overhead costs incurred in running our A Million Ones camapign are already paid for, pledges received make a 100% impact in the everyday lives of LGBTI people in southern Africa. In three easy steps, you too can host your own A Million Ones dinner. 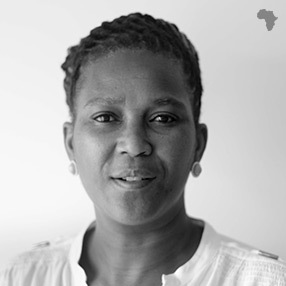 Take the first step by contacting Shekeshe Mokgosi, our public engagement manager, at smokgosi@theotherfoundation.org. Conversations was launched in April 2013 as an initiative to bring gay and lesbian professionals together for the benefit of the lesbian, gay, bisexual, transgender and intersex [LGBTI] community and beyond. The event provides a space for lesbian women and gay men to meet and grow their professional and social networks, while raising awareness of, and money for, social justice causes. It is held in partnership with different LGBTI-friendly venues in each city, each month. Promoting genuine face-to-face interaction between like-minded gay men and lesbians, Conversations facilitates dialogue between individuals, NGOs and businesses to the benefit of all involved, in a relaxed social setting. The money raised form Conversations events is donated to support the advancement of human rights for LGBTI people throughout southern Africa. It promotes LGBTI philanthropy to help fund this work. ‘Like’ our Facebook page to stay informed about upcoming Conversations events. Andrew has a Bachelor of Arts degree in German and Russian from Exeter University and a Masters degree in contemporary Japanese studies from Essex University. 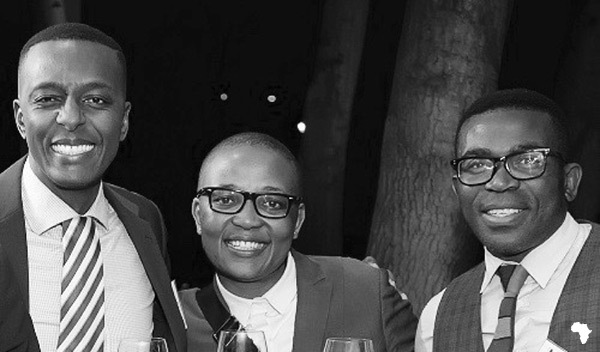 After moving to Cape Town he founded Conversations, a very successful monthly networking and social event for LGBTI professionals in Johannesburg and Cape Town, which has now become a programme of the Other Foundation. He is a board member of the Pride Shelter Trust. Ntombi was the office administrator at the Community Agency for Social Enquiry (CASE) where she worked for over 15 years. She started her career at CASE as a reception administrator and later worked as a fieldwork administrator. She has a certificate in human resource management from the University of South Africa (UNISA). She is currently studying towards a Bachelor of Arts degree through UNISA. Copyright © 2016 - The Other Foundation. All rights reserved.